Finally, I have updated my travel blog with the story of Mackinac trip. Anybody interested in travelling there may find the information shared useful. 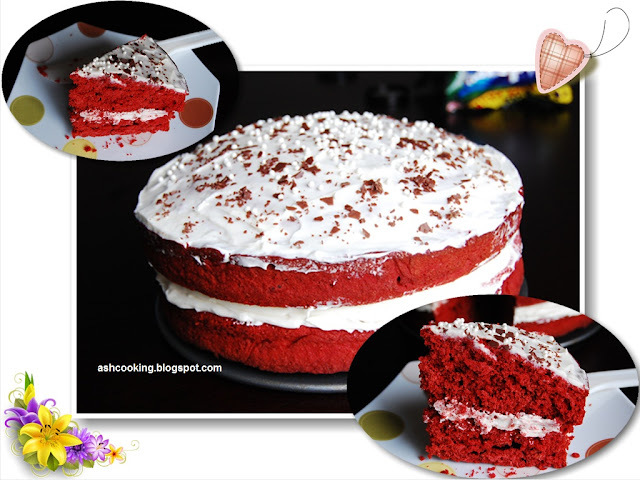 Coming to the recipe now, Red Velvet Cake not only looks gorgeous and beautiful, it is equally charming and pleasing in taste. If anybody has any misgiving towards adding synthetic color to the cake, beetroot juice can be a good substitute. 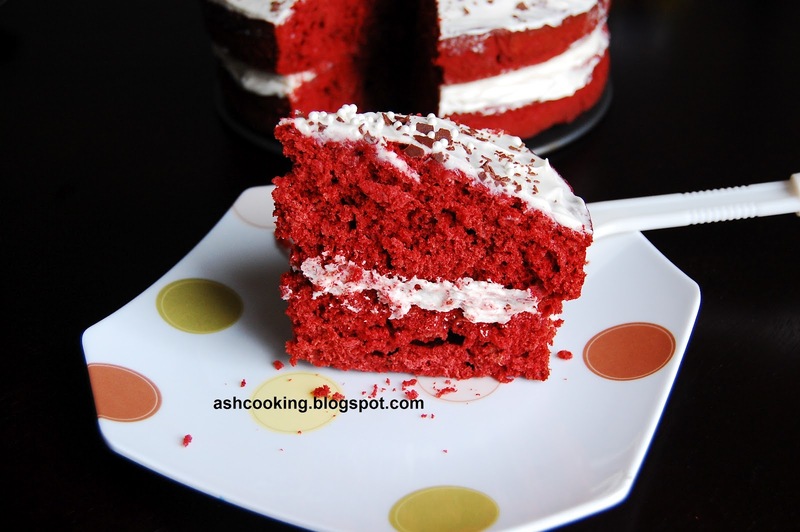 1) Grease two 9 inch/23cm layer cake pans and line the bottoms with parchment paper. 2) Heat the butter, water and cocoa together in a small saucepan gently, without boiling, stirring until melted and smooth. Remove from the heat and let cool slightly. 3) Beat together the eggs, buttermilk, vanilla extract and food color until lathery. Beat the butter mixture in. Stir in the sugar. 4) Sift together the flour, cornstarch and baking powder in a separate bowl. Using your index finger, make a well in between and slowly pour the egg mixture into the well, stirring to mix. 4) Preheat the oven at 375 F/190 C. Divide the batter between the prepared pans and bake for 25-30 minutes until the cake puffs up and a wooden skewer inserted at the centre comes out neat. Cool before turning the cakes over and releasing them on to a platter. 5) For the frosting, beat together all the ingredients until smooth. 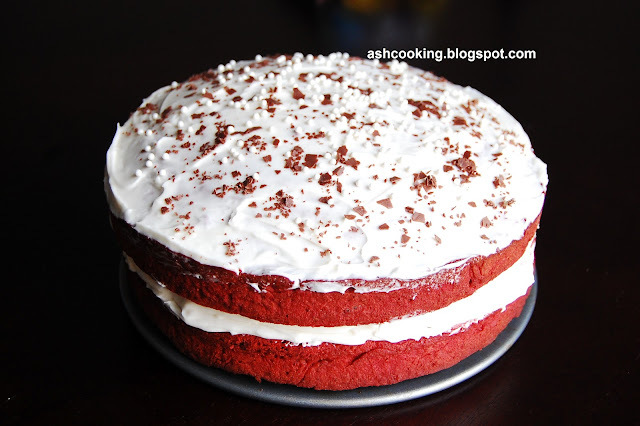 Use about half of the frosting to attach the cakes together and then spread the remainder over the top, swirling with a frosting spreader.